Discover Austin's paranormal nightlife! Along with spine-tingling amusement this nighttime walking Ghost Tour of Austin will leave you with haunting memories and reminders that we the living are not alone in this world. Experience Austin's haunted history of lost and forgotten souls attached to tales and locations within the Congress Avenue Historic District. Join us for a spooky good time and embrace your inner fear, fascination, or skepticism! Begin and end in front of the downtown JW Marriott Hotel at 110 East 2nd Street, Austin, TX 78701. Explore the Congress Avenue Historic District on this 90 minute Walking Ghost Tour by night with an engaging local guide. You'll see Victorian period buildings along this walk that are haunted by a multitude of ghosts which have made their presence known for generations. 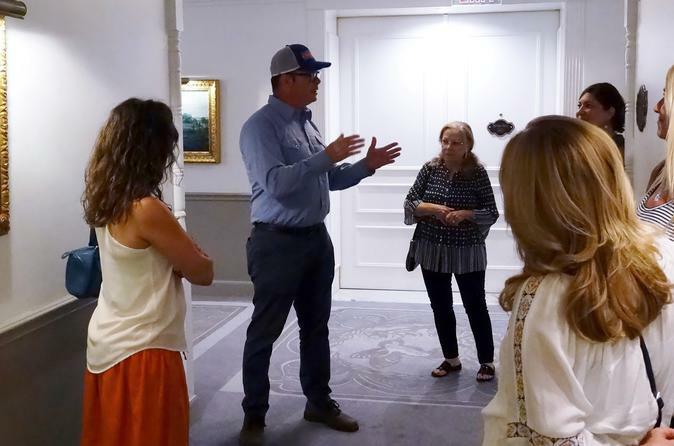 Along the way you'll learn the dynamic history of Austin from frontier past into the present and discover paranormal hot spots, including the timeless Driskill Hotel. Walk with a small-group of adventurous spirits as your guide shares chilling ghost stories and remarkable accounts of paranormal experiences.